It is the government’s flagship education policy. But councils in England are warning that the academies scheme will drain resources from support services used by thousands of conventional state schools that have not left their local authorities. Education Guardian has calculated that the huge expansion in the government’s academies programme could cost councils up to £820m over two years. Councils claim that money to meet these costs will inevitably have to come from other services provided by local authorities, including support for the most vulnerable pupils, at a time when education is facing its sharpest spending cuts for 50 years, according to analysis last week by the Institute for Fiscal Studies. Analysis of submissions to the government’s consultation on academy funding by the Local Government Association (LGA), which represents all English and Welsh local authorities, the Chartered Institute of Public Finance and Accountancy (Cipfa) and the umbrella body London Councils, supplemented by information from six individual councils, shows that councils believe too much money has been given to individual academies by the government, and that ministers are now trying to take cash from local authorities to meet these costs. 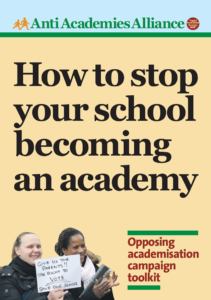 The claims come after this newspaper revealed in April how some schools appear to have received six-figure windfalls after becoming academies. Academies are funded directly from central government and operate largely without receiving local authority support services, including school improvement and behaviour support. The government says they receive the same amount of money for support services as they would have received had they been a conventional local authority “maintained” school. Academies can then buy in any support they need. Since summer 2010, 1,525 schools have taken on academy status, or applied to do so. Ministers said last year that they expected only 400 new academies in 2010-12. The government is therefore seeking to slash the funding for local authorities to provide support services since, ministers say, the growth in academies means there is now less demand for these services. In January, the government proposed to cut local authority budgets by £148m in 2011-12 and by £265m in 2012-13. But following a legal challenge in May by 23 authorities, which argued that the reductions were calculated unfairly and flouted government guidelines on passing extra costs on to local councils, the government launched a new consultation on academy funding over the summer. But the consultation proposed to cut local authority budgets even further to take account of the faster-than-anticipated growth in academy numbers. This would see councils lose between £940m and £1.06bn by 2012-13. Although councils accept that there should be some reduction in funding for their services, they say the proposed cuts go far beyond any likely savings. Other budgets will therefore have to be raided to make up the shortfall. The LGA surveyed 32 authorities and found them reporting average savings of £15 per pupil because of a falling demand for services as more schools in their areas became academies. The LGA therefore says council budgets should be cut by a figure of £15-£70 for every academy pupil. But the government says this sum should be more than £200. 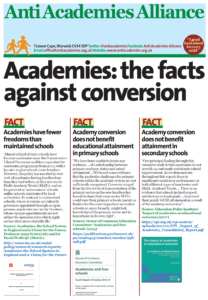 Calculations by this newspaper, based on the LGA’s estimated per-pupil savings, suggest that council budgets should therefore be reduced by a maximum of £233m over two years to pay for the academies policy. As ministers are seeking to make cuts of £940m-£1.06bn, councils believe they face an unjustified bill for academies of £707m-£822m. • Academies receive a share of what the local authority was spending on its school support services the previous year. With council budgets falling year-on-year, this also represents over-funding. In their consultation responses, the LGA, London Councils and local authorities including Kent, Somerset and Cambridgeshire have castigated the proposals as unworkable. They describe the government’s methodology variously as “irrational”, “completely unreasonable” and “fundamentally flawed”. England’s largest local authority, Conservative-controlled Kent, says that, while academies are receiving £230 per pupil in support service payments, the true figure, reflecting the cost of extra services academies must provide once they leave the local authority, should be £40 per pupil. This means a secondary school with 1,000 pupils would gain £190,000 simply by becoming an academy. Kent also calculates that the overfunding of academies is so acute that, if 30% of its schools were to convert to academy status, payments to them would leave it with no budget at all for services to support the remaining 70%. Local authority sources say that, in the longer term, academy funding must be cut to come into line with that of maintained schools, in order for the policy to be financially sustainable. A DfE spokesman says per-pupil funding is the same in academies as in maintained schools. 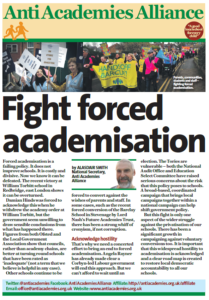 He adds: “In the light of the greater numbers of academies converting nationally than initially anticipated, we need to ensure that they and local authorities are funded fairly. Councils do not know when they are going to get an answer. With budgets so tight, ministers seem unlikely to want to respond positively to the authorities’ claims. The reaction from local authorities, if their arguments are rejected, will be interesting to watch. This entry was posted in News and tagged Councils, Funding, Statistics. Bookmark the permalink.